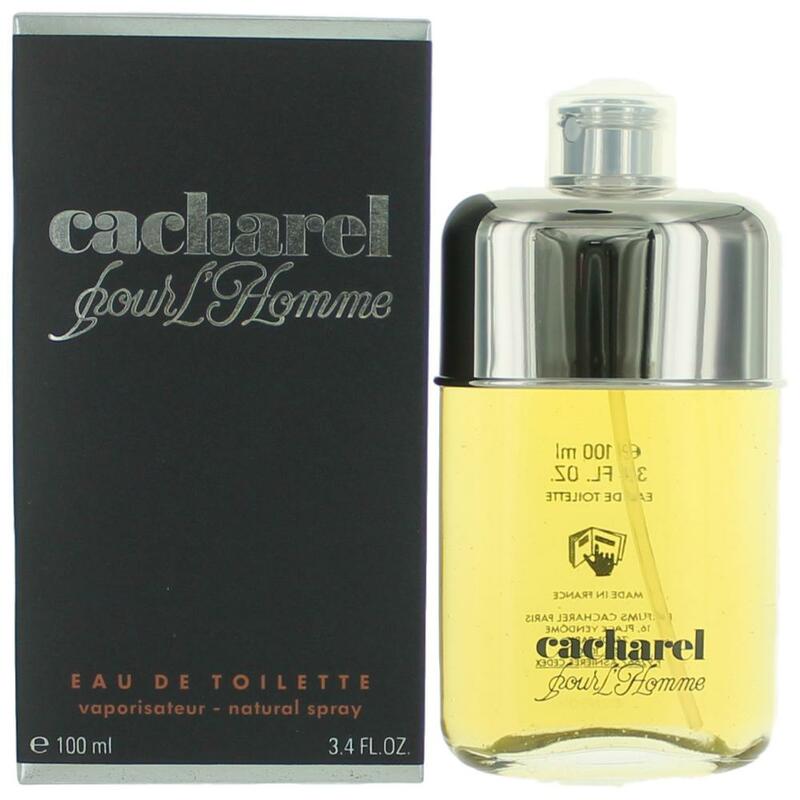 There are 69 reviews of Cacharel Pour L'Homme. Whispy light citrusy nutmeg throughout for maybe 4-6hrs, with the first 15 minutes remindful of Fruit Loops... cereally! Are minor cogs of vetiver, clean musk, and cedar part of the machinery? Sure, why not. Nothing floral to talk about. Gotta like nutmeg or I wouldn't bother. Making my way through the last of my 7.5ml minis. I much prefer Dunhill Edition for these kitchen spicy types... more moving parts, more longevity and more heft. Fans of vetiver and this Cacheral would probably like L'Occitane's Vetyver as well, I'd think. If Cacharel Pour L' Homme was a $20 fragrance I'd lean towards a thumbs up.The problem is the opening is fantastic... but breaks down to a 2 note scent. I get a rich opening of citrus,vetiver,carnation,sandalwood,and a rich white bar of soap.If you smell closer at this bar of soap it contains a lot of nutmeg. Reminds me of an older style barbershop/aromatic like Dunhill for Men(1934)...mature but sophisticated.With an hour of so it whittles down it's composition down to being just strong of soap and nutmeg. These 2 notes work,but just makes me wish the whole thing held together for the 10-12 hour this fragrance lasts. 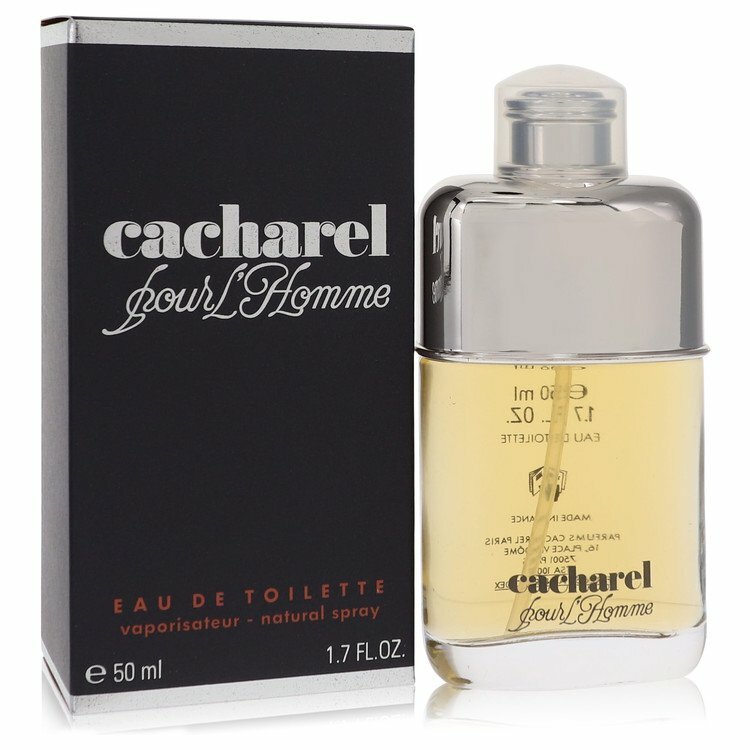 If you see Cacharel Pour L' Homme on a tester station?I do recommend trying it.It just doesn't live up to it's high price tag for what it's composition introduces you to. This one is definitely unique and smells more expensive than what it sells for. It is a comforting scent and I find it somewhat medicinal; akin to calamine lotion or a honey-flavoured Strepsil. Also, some Beeswax maybe? The cedarwood and nutmeg notes dominate this fragrance. Can't really compare it to any other male fragrance but it kind of sits with Azzaro pour Homme and similar woody/musky labels from that era. Sillage is medium and longevity is moderate (5-6 hours). Presented in a handsome bottle too. I'd say CPLH is an all-rounder, any occasion scent for men 30 and over. I had used from 1981 when i was 18 . Masterpiece ,one of the best 80's . I have found one of 1991 ed.,Splendido !! Relatively 'under-the-radar' until now, this is a scent that I've seen on the shelves of local chemists that I ignored far too long. Its simplistic looks and packaging have been crying out "come and take a sniff", but alas it was only in 2017 that I discovered this hidden gem. This could easily be the find of the year for me! Cacharel Pour Homme really is THE fragrance for winter. Who would have known the humble nutmeg could be the centre point of a fragrance? I am reminded of chef Rick Stein's comment that nutmeg is "the scent of Byzantium" - it definitely comes off as noble and ever so classy. Citrus, flowers and spice is what it’s been described as. Often this description is enough to put me off even trying a scent, but with Cacharel, the nutmeg comes across as smooth yet spicy, strong and long-lasting yet never overpowering or cloying. Totally refined and good enough to wear dressed up or dressed down, you will have people wondering “what IS that smell? I know it somewhere”. Without a hint of sugar, syrup or honey, this is a bone-dry scent along the lines of Malle's French Lover / Bois d'Orage. In fact, it’s good enough to make you wonder why niche scents exists. 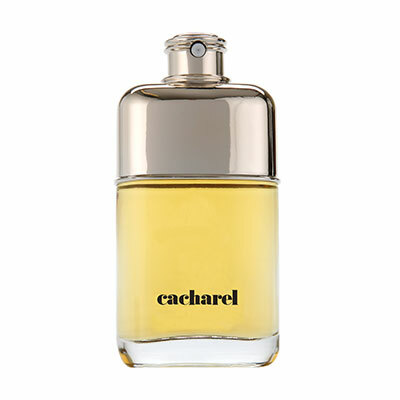 Cacharel Pour Homme dates back to 1981 – an important year to me – and this is the quality of scents made back then. I’ve worn it as a scent on its own or as a base for layering with other contrasting scents. Strong and long lasting, classy and quite unique, I wouldn't be seen dead without this in my fragrance wardrobe. Easily a 5/5 for me. CACHAREL POUR L'HOMME Eau De Toilette Spray FOR MEN 3.4 Oz / 100 ml BRAND NEW!!! There are no member images of Cacharel Pour L'Homme yet. Why not be the first?